By Academy Award®-winning filmmaker Fisher Stevens and Academy Award-winning actor, environmental activist and U.N. Messenger of Peace Leonardo DiCaprio, "Before the Flood" presents a riveting account of the dramatic changes now occurring around the world due to climate change, as well as the actions we as individuals and as a society can take to prevent catastrophic disruption of life on our planet. 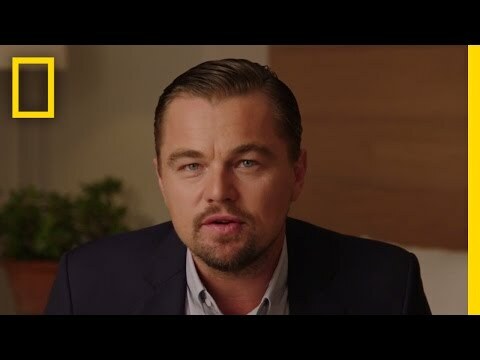 The film opens in New York City at the 2014 Climate Leaders Summit as Leonardo DiCaprio is accepting the United Nations title of Messanger for Peace the the Climate. 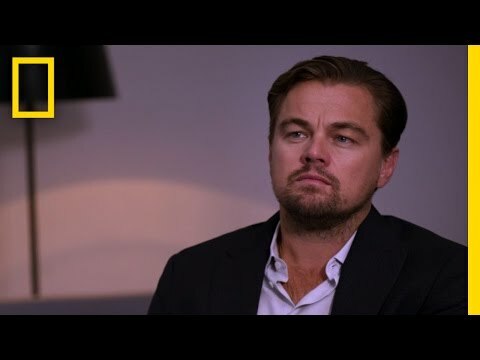 Leonardo interviews U.N. Secretary General Ban Ki-Moon to discuss the effects of climate change that are already being felt around the world. The second destination is the Great Canadian Oil Sands in Alberta, Canada, where Suncor Energy produces over 350,000 gallons of synthetic crude oil though a process that emits greenhouse gases and is generally environmentally unfriendly. Marc Mageau, SVP of Oil Sands Operations discuses the global addiction to fossil fuels and its risky means of production. Leonardo then travels to the Arctic Circle, first in Canada, then Greenland to document the rapid ice melt. Climatologist Jason Box describes how more than 30 feet of solid ice has melted in just the past two decades. The Arctic is like the air conditioner for the Northern Hemisphere, which if it stops working will disrupt weather patterns and create more devastating floods and droughts. To investigate the coastal areas which will be worst affected by sea level rise, Leonardo visits Miami Beach, Florida, where Mayor Philip Levine talks about the $400 million infrastructure project meant to protect the city from the rising water level. Climate change is a politically contested subject in Florida, where a governor tried to make the use of the term illegal. During his visit to China, Leonardo Ma Jun, Founding Director of the Institute of Public & Environmental Affairs. China is the factory of the world, says Ma Jun, with thousands of factories that pollute the atmosphere. Millions of people are affected and can no longer go outside without protective face masks. The people are taking to the streets and climate issues are the main reason for protests and demonstrations all over China. China hopes to set an example to the rest of the world by prioritizing solar and wind power for their growing population. India is the world’s third largest emitter of carbon emissions. At the Centre for Science and Environment, Sunita Narain discusses India’s struggle with massive power shortages and rolling blackouts. 300 million people live without power; India has made bringing people out of energy poverty one of its main priorities, but as to by what means, remains to be seen. Leonardo travels with his team to the South Pacific where he sits down with Anote Tong, President of Kiribati, and H.E. Tommy E. Remengesau Jr., President of Palau. These small island nations are threatened by the uncertain future and rising sea levels, despite contributing the least to the causes of climate change. Next, Leonardo takes a sub with Marine Biologist Jeremy Jackson to witness first-hand the devastation of coral reefs. Reefs, as we know them, may disappear due to the acidification of oceans and ever stronger storms caused by higher sea temperatures. Like the oceans, the remaining rainforests are a sponge for carbon emissions. In Sumatra, palm oil farmers are intentionally setting fires in the forest habitat to create space for palm oil plantations. This practice threatens one of the most biodiverse places on the planet. The palm oil industry has already consumed around 80% of Indonesia’s virgin forest. 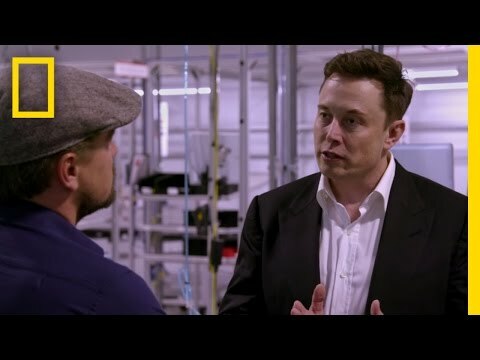 Leonardo visits Elon Musk at his Tesla Gigafactory in Nevada. Tesla’s newest technologies in battery storage have created a viable vision of a solar powered future, all that is needed is another 99 gigafactories. U.S. Secretary of State John Kerry discusses the Paris Agreement on climate change and the significance of the leadership shown by China and the US by committing to reducing carbon emissions. 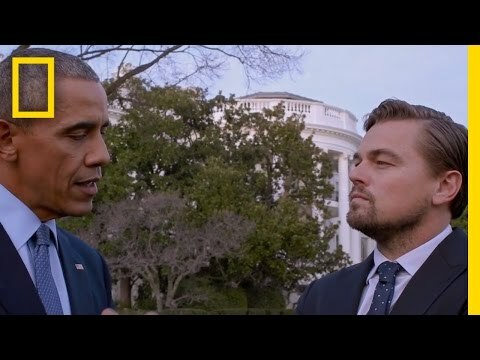 At the White House, Leonardo talks to President Obama who is hopeful for the future and believes climate change can be stopped before it becomes catastrophic. 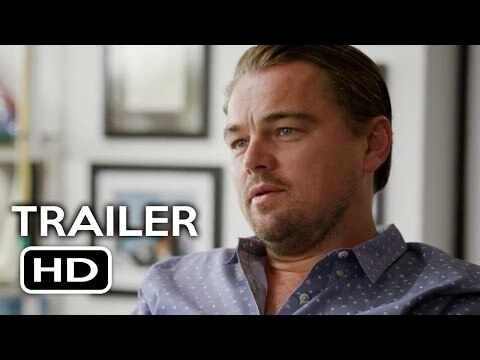 The documentary concludes in The Vatican when DiCaprio has an audience with Pope Francis. They discuss Pope Francis’ unprecedented release of the environmental encyclical Laudato Si, in which he officially calls for immediate action to stop global warming and to protect the poor from the impacts of climate change. 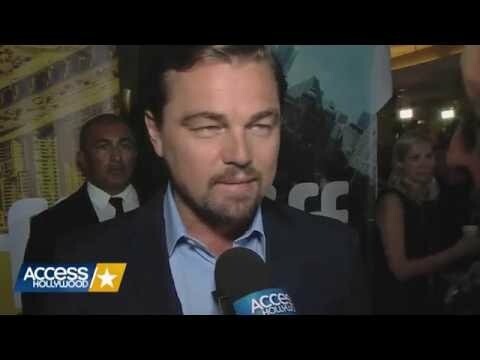 DiCaprio uses his popularity (top-class interviews with Barack Obama, Pope Francis, Ban Ki-Moon, Bill Clinton, John Kerry and Elon Musk) to point out to serious environmental problems and encourages viewers to take action.